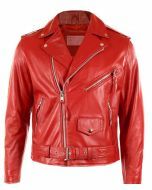 Leather Jacket Designs ( LJD ) brand new addition: Men's Lovely Quilted Leather Jacket. 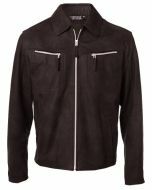 A perfect leather jacket for any age men. Available in all sizes and 5 different colors combination. 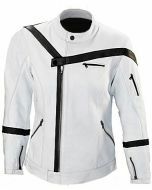 Decorated with very comfortable tab style ban collar, zip closeup, side zipped pockets, zipped cuffs, quilted design shoulder and internally fully lined. Copyright © 2012-present LeatherJacketDesigns, Inc. All rights reserved.